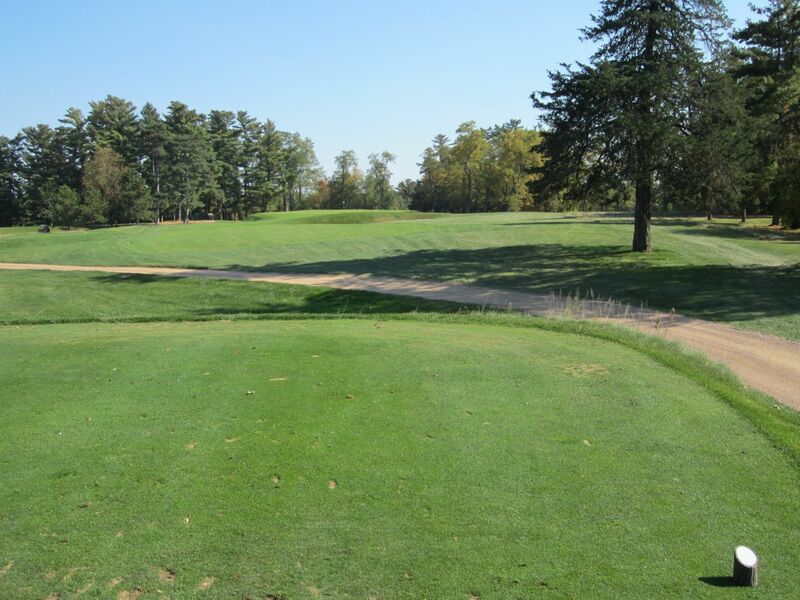 Rated as the number three golf course in the state of Wisconsin by GolfWeek, the Links Course at Lawsonia is in a class of its own. 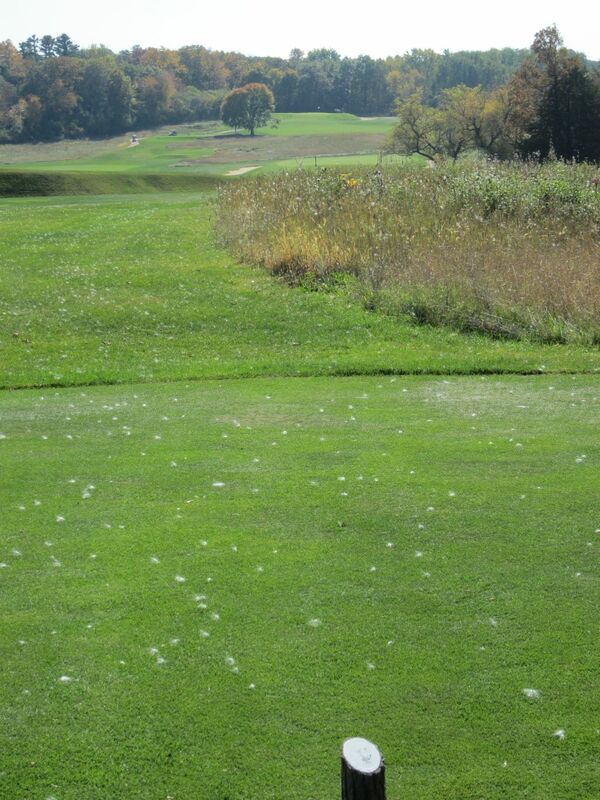 It is ranked only behind the Straits Course at Whistling Straits, and the River Course at Blackwolf Run. In reality, these two courses should never be compared to the Links. Comparing it to them is like comparing an apple to an onion. Sure they have some key mutual characteristics, but the actual experience is so different they cannot stand side by side. 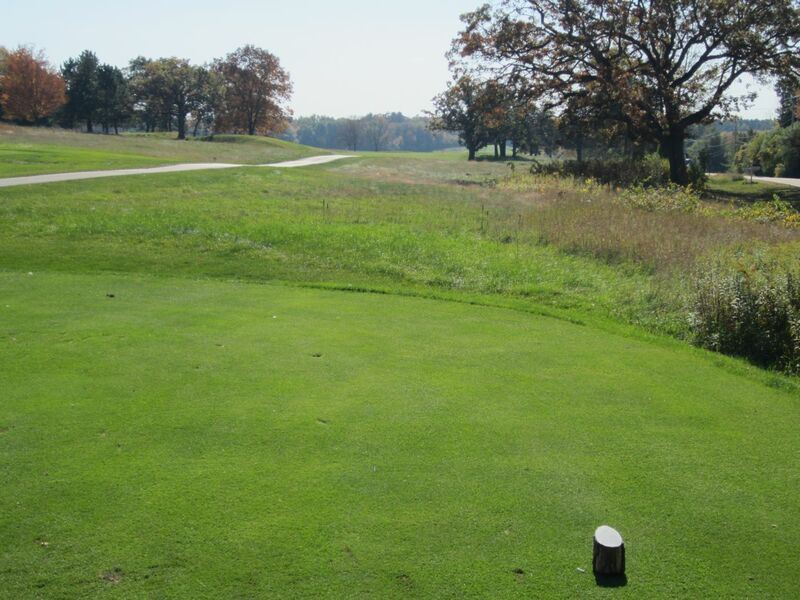 What intrigues all Wisconsin golfers about the Links is just that: It is different. There is nothing around that plays like this course does, and most golfers’ playing style will not translate easily here. William Langford and Theodore Moreau brought their dreams for Lawsonia to fruition in 1930. 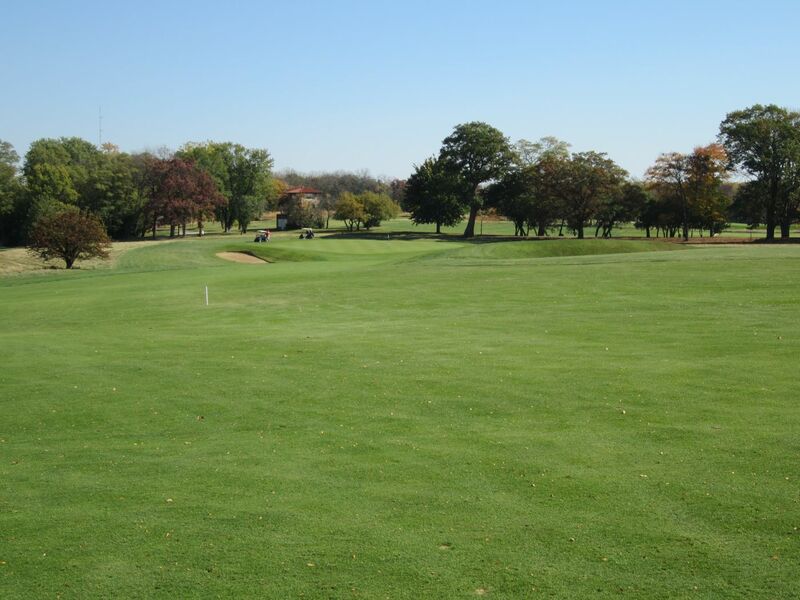 Built on the farmland of Victor Lawson (hence, the course’s name), the duo spent over a quarter of a million dollars on the landscaping and cultivation of the layout. This cost is comparable to the Kohler Company’s costs for creating the Straits Course in 1995. Again, this is just one of those apple versus onion mutual traits. The Links Course is all about the short game, and how you play from 100 yards and closer will determine your score. The greens are astoundingly quick, and play like hillsides. Many of them have two, and sometimes three, unique levels separated by several foot tall shelves, while others are simply slanted drastically to add their level of difficulty. Like a true links-style course, there are few trees and water hazards that come in to play. 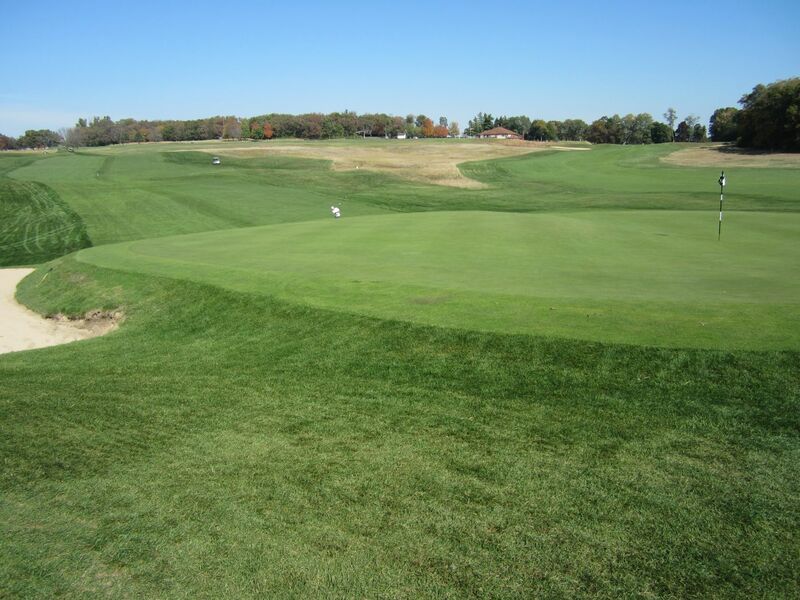 The toughness of the play revolves around severe undulations, both in the fairways and especially around the greens. 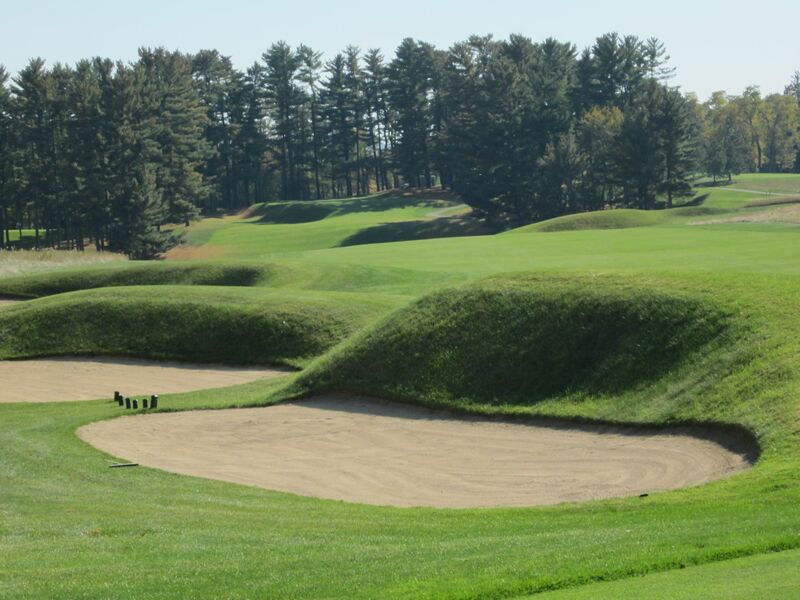 Pre-round instruction will tell you all you need to know: Do not drive backwards in the fairways – the birms surrounding all sand traps can reach more than a story high, and getting out of any sand trap can be considered a monumental feat. 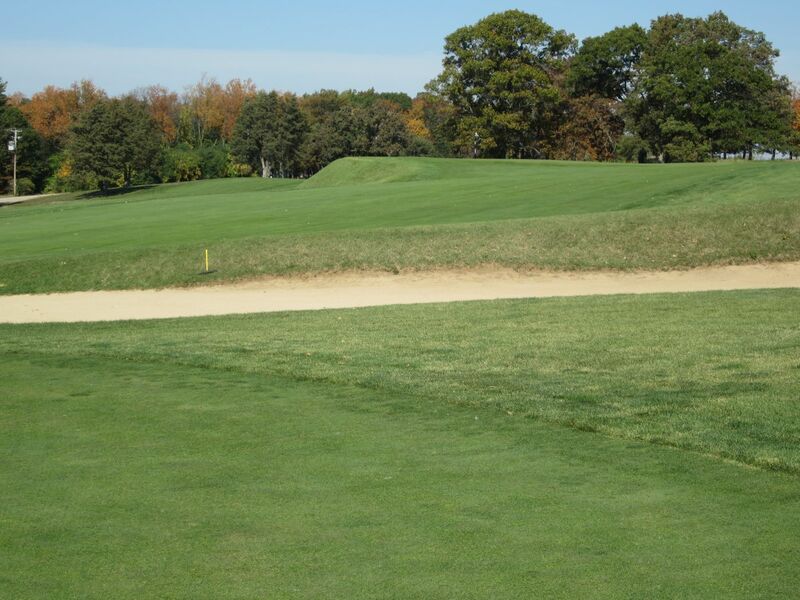 From the fairway bunkers, you can rarely expect a chance to do anything but get out and hopefully find the short grass. The greens here are typically large, and almost all risen above sand traps that guard against anything but ideal approach shots. Anything else will likely be ten or more feet below the green, and almost always in sand. 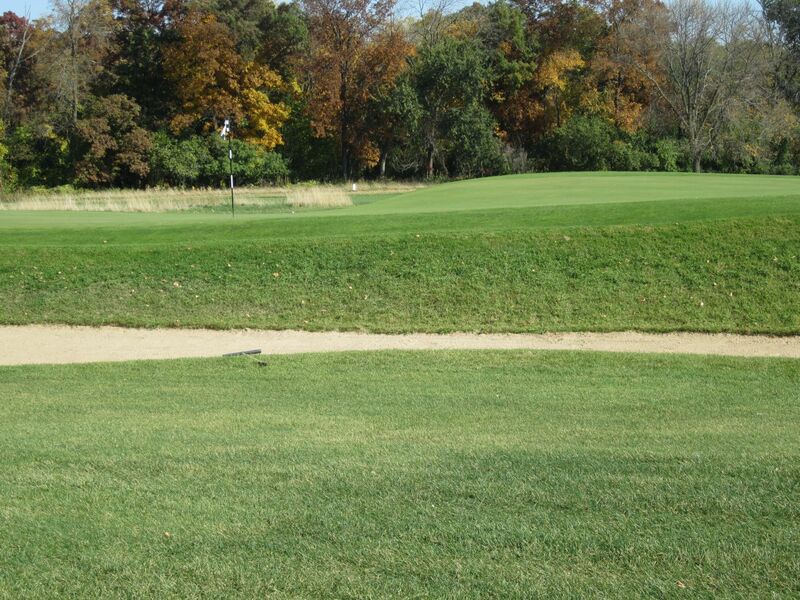 The sand at Lawsonia is probably the only complaint I have about the course: The traps could use some work. Re-digging the bunkers and filling with new sand would do a lot of good, as the current sand conditions are somewhat low. The course itself begins with a couple of blind shots, but do not worry because this does not carry over to the rest of the track. Take the opportunity to drive the cart path, and find a good line for your drive, or you will have no idea where to hit on this first hole. 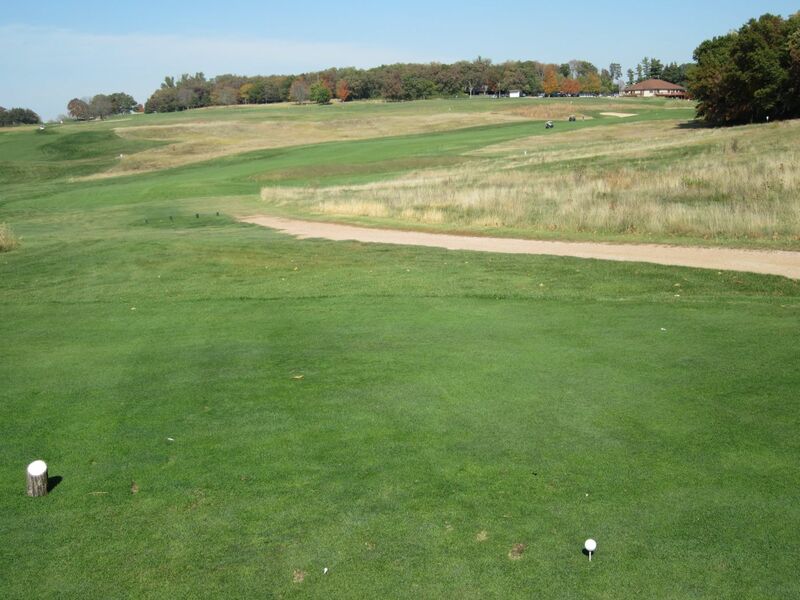 The fairway slants to the right, and uphill to a green that is quite typical of the Links course. Stay right on the approach, if anything, as this is your only true bailout. You will still not be sure you are on the green until you drive up and actually see your ball lying safely on the putting surface. Hole number two features the second blind tee shot on the course. 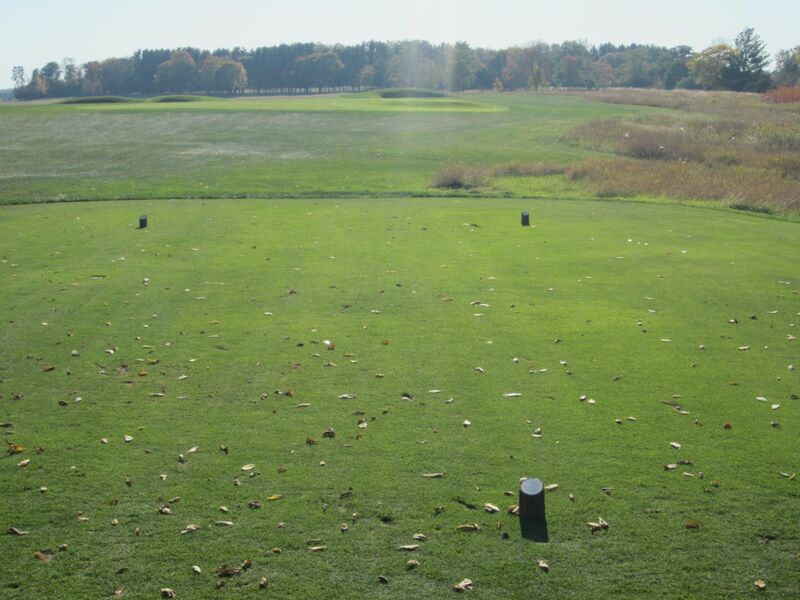 Use the left-most tree to the right as your target, as left of that should find the fairway, while right will find an old cemetary set amidst tall pine trees. 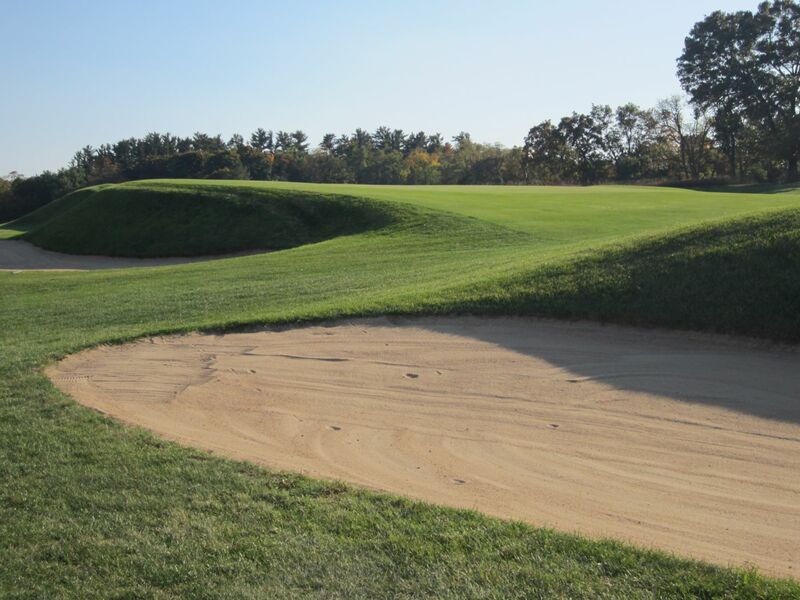 This hole provides the first taste of the accentuated fairway bunkers that line most of the Links course’s holes. The third hole begins by the huge barn from Lawson’s farm. 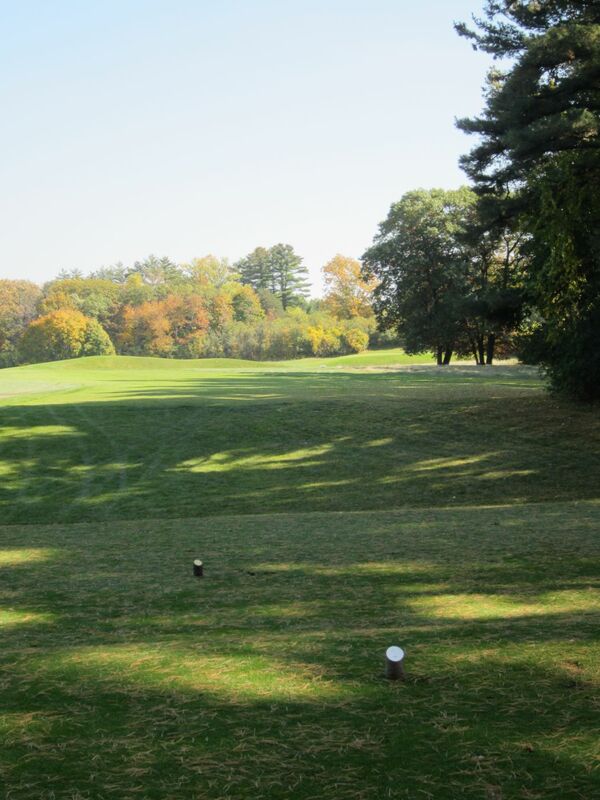 It is comforting being able to see the fairway from the tee boxes, but the location of the green deep-right makes anything off the fairway tough to land without finding the traps that surround it. The fourth hole is the first par three on the Links course. This is ironic, as the course features more par threes (five) and fives (five) than fours (eight). This exciting mix will be discussed more shortly. 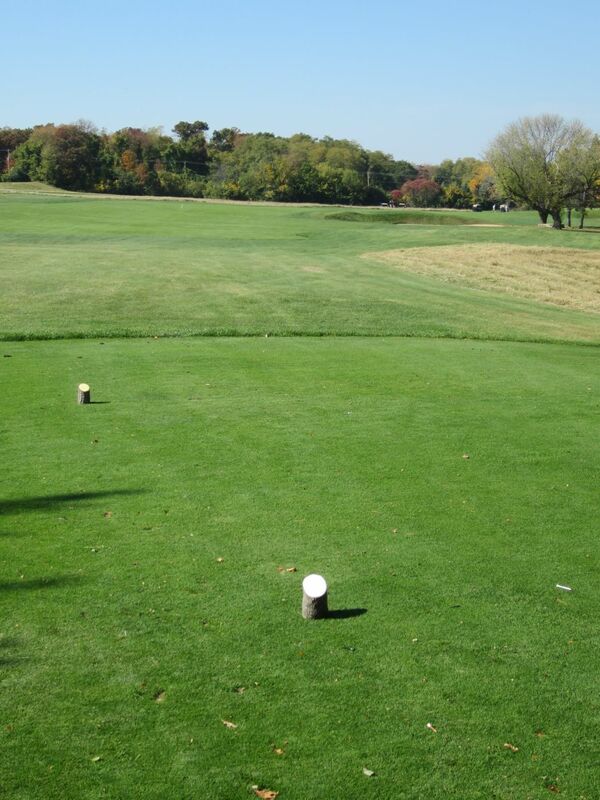 The wind must be factored in on the tee shot, and will influence club selection by as much as a few clubs. At 175 from the white tees, or 203 from the tips, this can be awfully significant! Anything left or short will be ten feet below the green in sand, as will anything long or long and right. There is nothing easy about any of the par threes on this course. The fifth hole is a gorgeous par five that runs along the road. The fescue area left of the fairway proved to be a popular area for tee shots for the group in front of us, but the fairway itself is wide enough to be hit. Right is a terrible option, too, and could incur obstructed views from the trees found there, or even the street. The second shot is fairly elementary, but as is par for this course, the approach requires a lot of thought to keep away from the sand that guards this green. The sixth hole is one of the longest par fours on the Links. 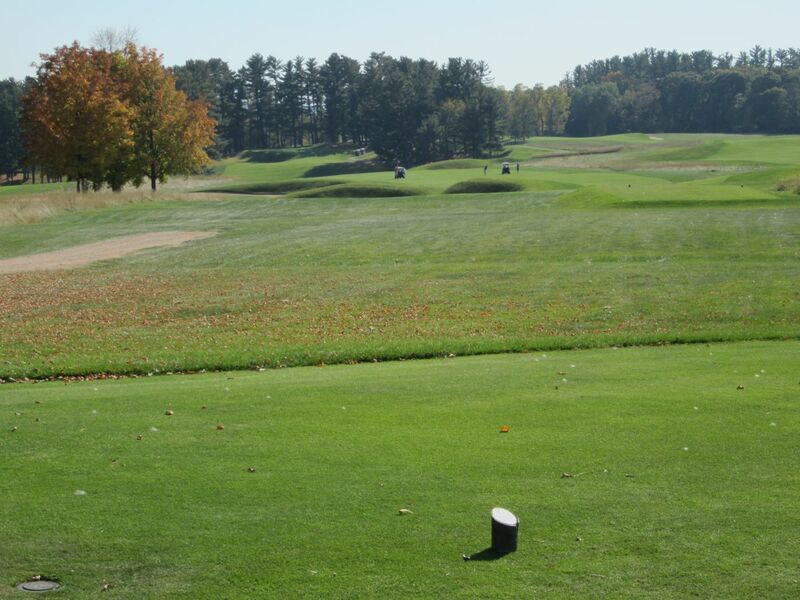 The tee shot overlooks a large central sand trap, which can be easily out-driven to find a downward sloping fairway. The bi-level green makes this a very challenging par four. The eighth hole is probably my favorite driving hole on the Links course. Use the large pre-fairway sand trap as your target, and wail away. 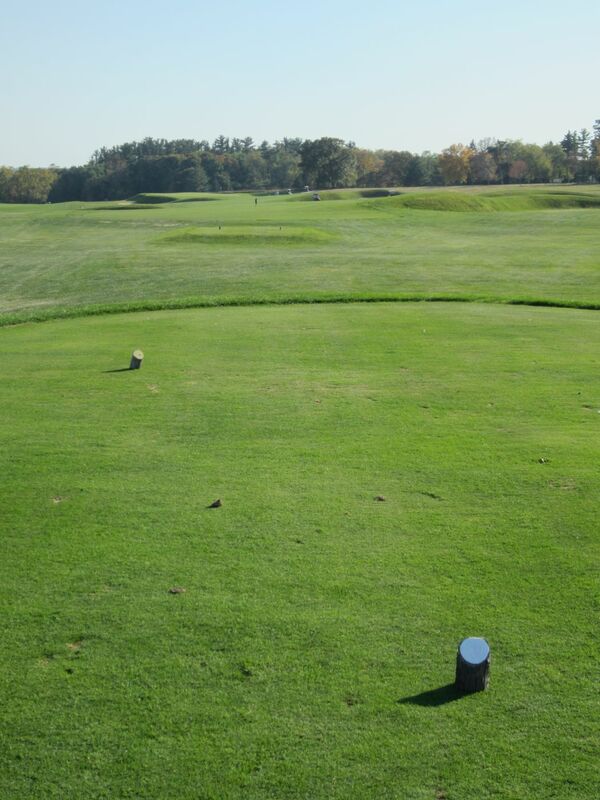 At only 322 yards from the white tees, big hitters are tempted to hit as hard as they can toward the green. Anything right, though, will find the massive fescue area and leave to a shot out of it that will have to carry the sand and tall birm that fronts the green area. The last hole of the front nine is a long par five that will require at least two excellent shots. 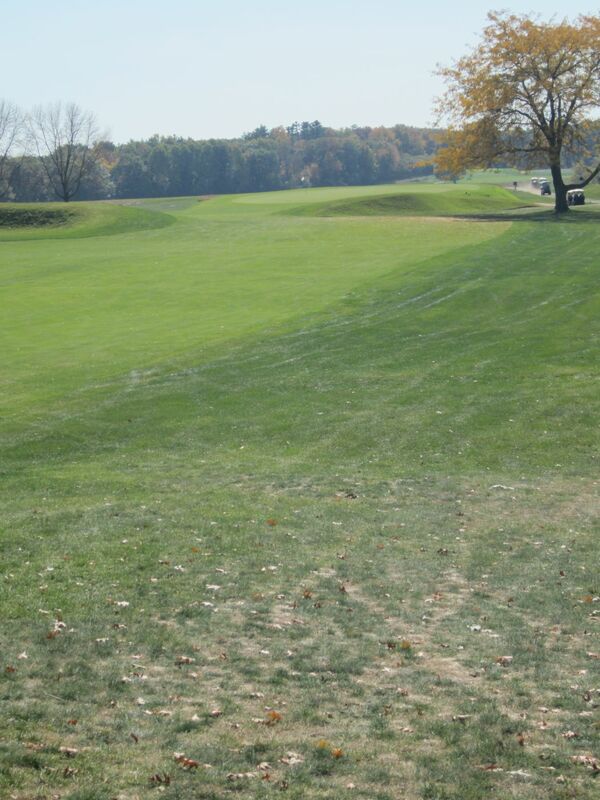 The fairway is laid out horizontally in front of the tee boxes, and runs from left to right. 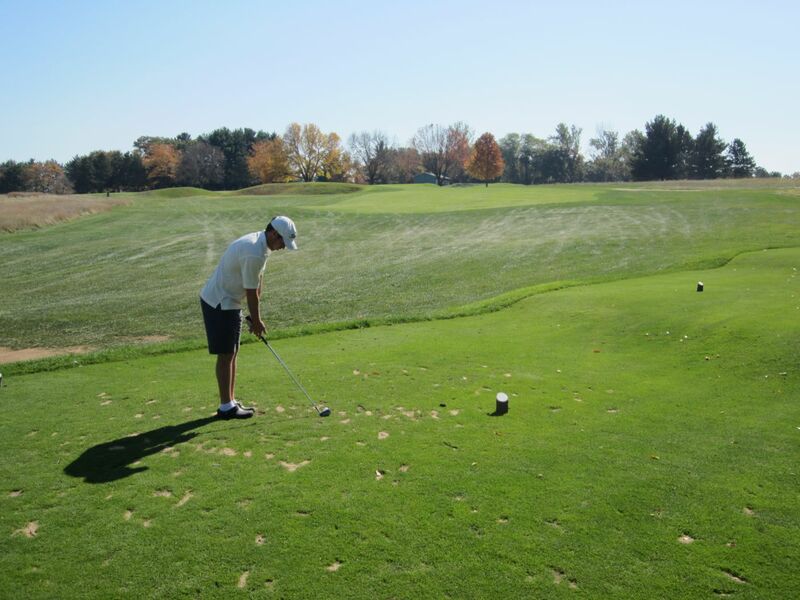 Avoid over-driving it, as this will land you in the fescue long, but make sure to give yourself a chance at hitting the fairway to the right on your second shot. The approach is much easier here than it is for much of the course. There are no birms guarding the green, and the sand is minimal in comparison to others. 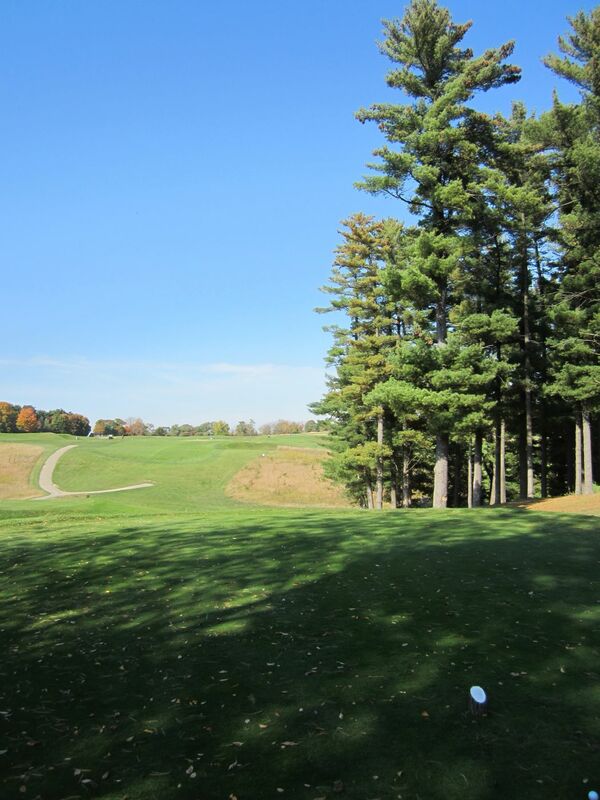 The tenth hole is one of the hardest par threes you will ever play. 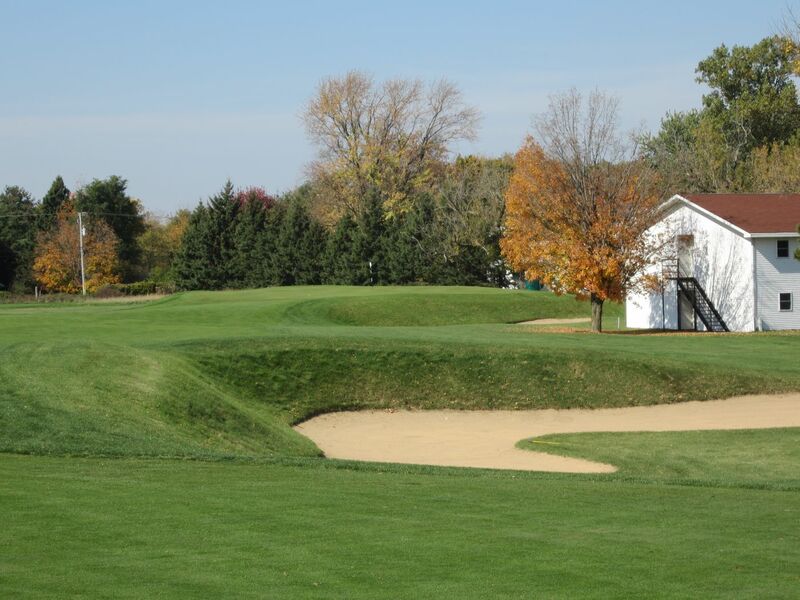 At 239 yards from the blue tees, or 217 from the whites, the tee shot is extraordinarily intimidating as the fairway bunker looks to run the distance to the green. Beyond it, though, is plenty of area to be short. The right line is the most important aspect of your tee shot, and flying right will find you in a heap of trouble in the sand below the green. The green slopes severely upward from front to back, which also provides little in the form of assistance. Eleven opens up a bit more off the tee. As a par five, the first shot is allowed to leak slightly left. This is about as much comfort as you will find on this course. This par five continues the par five-three-five-three-five-three scheme that makes for a lot of fun during this stretch of six holes. The most notable aspect of the par three twelfth hole is the green. It is absolutely massive, and does not merely feature slopes, but cliffs. The most notable one is a shelf that runs midway through the green, and falls about five feet to the lower level. Navigating this green is as much guess-work as it is skill, and you’re best off training on the strength of your strokes than you are the lines. 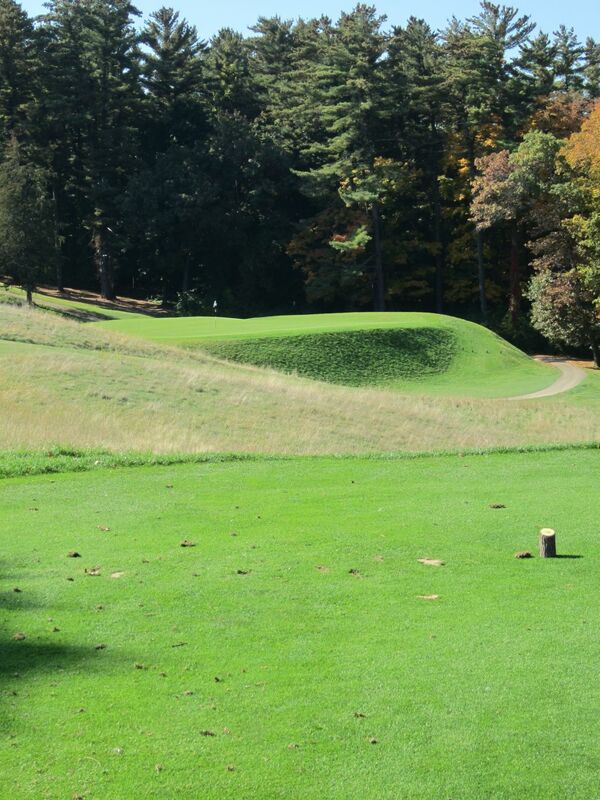 Thirteen is one of the most awe-striking par fives you will find anywhere. 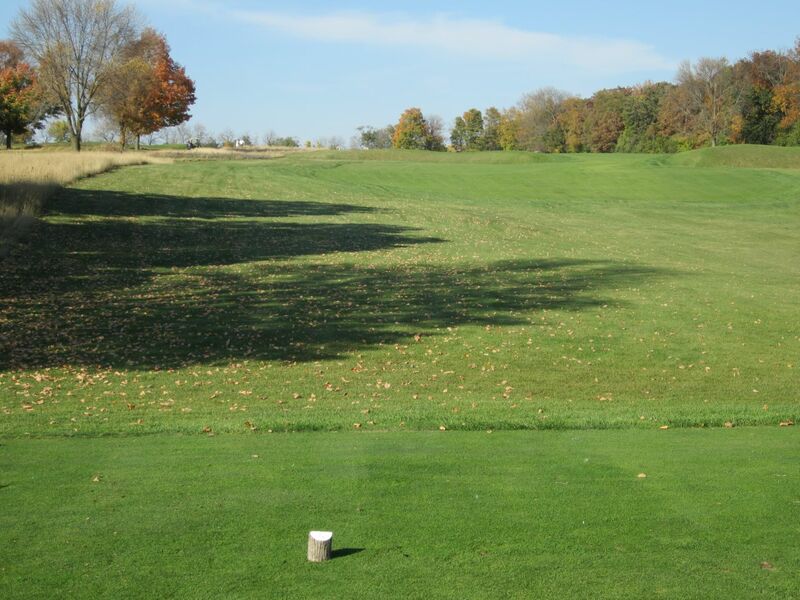 The tee shot is pretty self-explanatory: Try to find the fairway and set up your second shot. From there, it gets interesting. 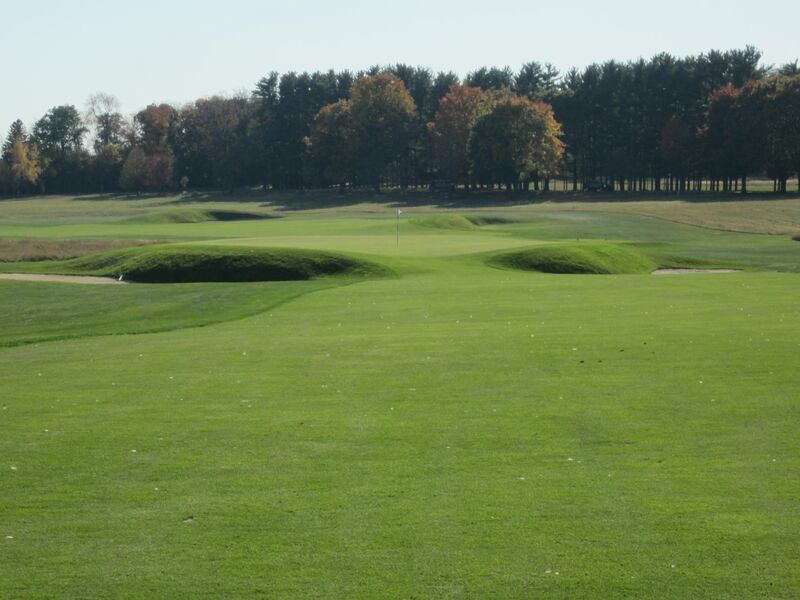 The mounding on this hole is absolutely beautiful, and is the quintessential example that should be used for any American links-style course. 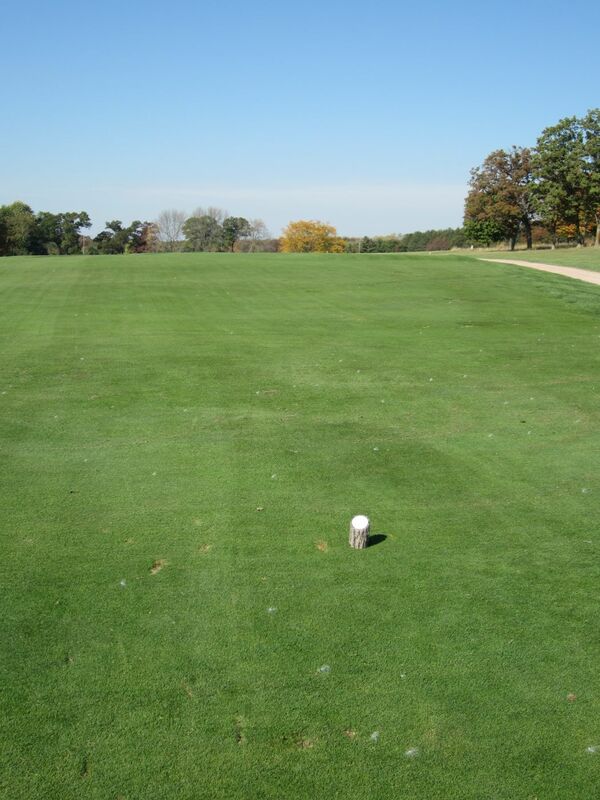 The second shot has to be long, and absolutely needs to be in the fairway. Why? 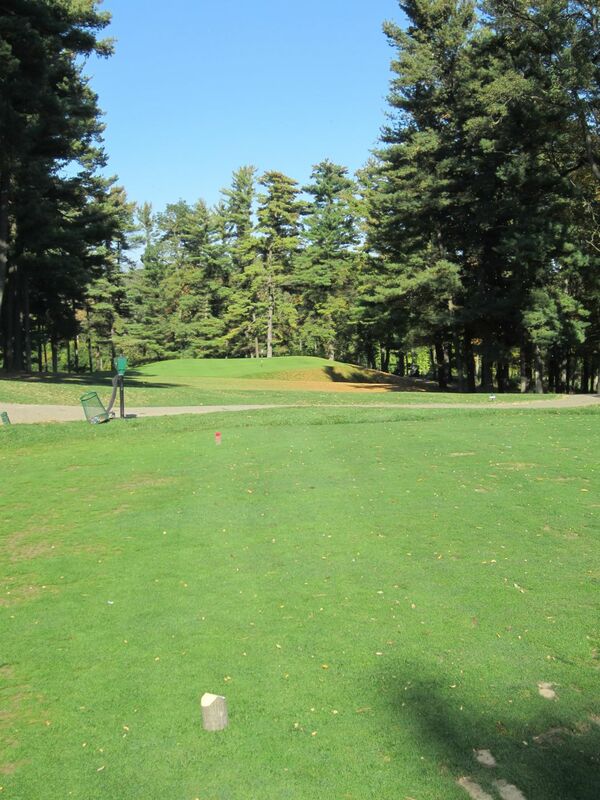 The finish is surrounded by woods, and features a massive depression that falls steeply from the fairway. It then climbs again for 150-plus yards to the green, which looks heavenly from the fairway depression before being mounded even higher for the green itself. This is one of the greatest par fives I have ever played. Following the fantastic thirteenth hole is my favorite of the Links’ par threes. 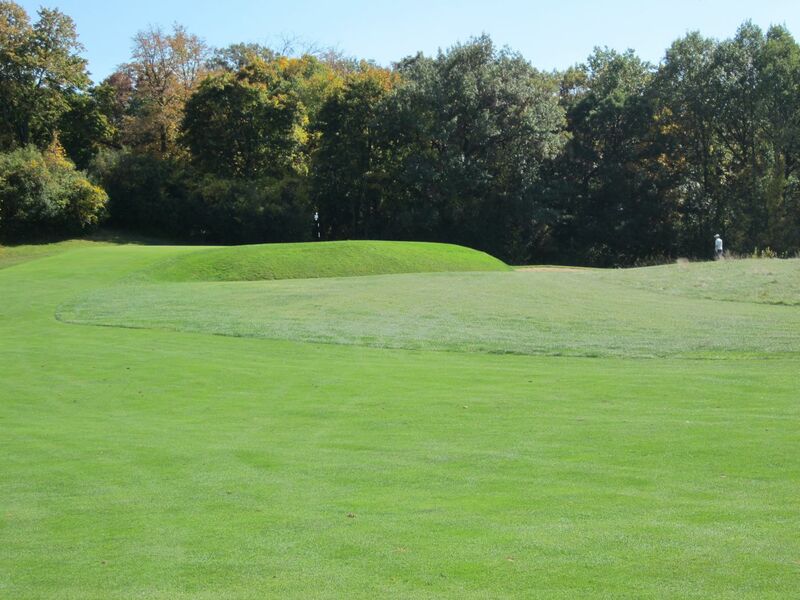 Fourteen is the only completely wooded hole on the course. If you have one target in mind for this hole, it should be the middle to left part of the green. The right side is risky, to say the least. The green rises from the left to right, but drops sharply in to a long green-side sand trap that will make par next to impossible. Fifteen is the first par four you will encounter since the long-since-played eighth hole. 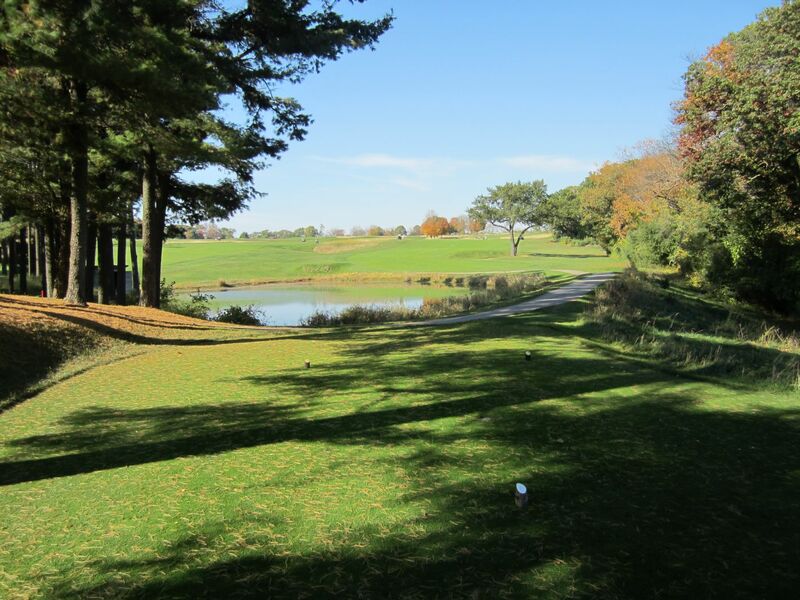 With a tee shot over the pond, stay away from the fairway bunkers on the right, which will lock you out from a viewable approach of the green that lies along the treeline. The sixteenth is the longest par four on the Links course. 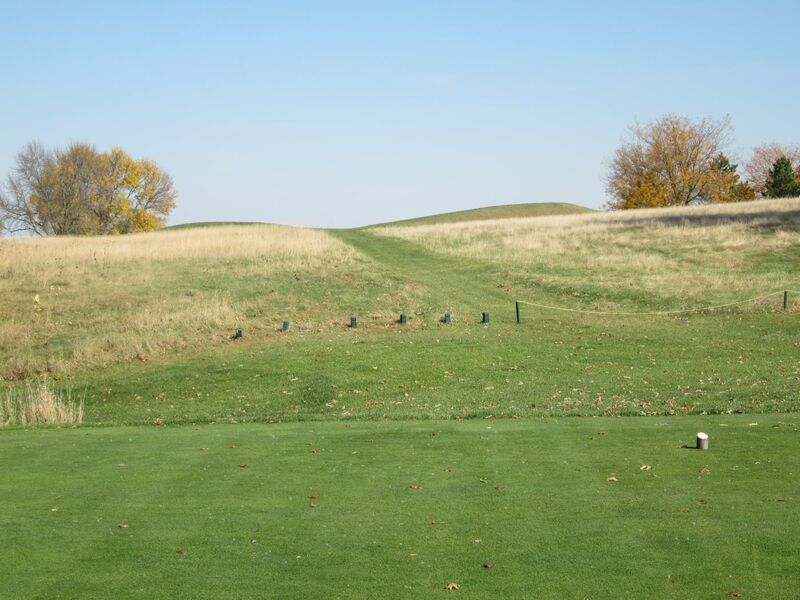 At 443 yards from the tips, or 435 from the white tees, the tee shot is largely blind and must stay away from the fescue that lines the left side of the hole. The second shot is going to be long regardless of your tee shot, so lying up the approach and playing for a one-putt is not a terrible strategy. The fairway bunkers on seventeen make for a very difficult start to this hole. The green, though, is a whole ‘nother story. This area is a blow-up hole waiting to happen. Looking at the bottom picture that follows, I probably do not need to explain any farther. Like on the Woodlands, the Links course ends with a challenging par five. I get the impression that Langford and Moreau were excellent short-game players, and shrewd businessmen, as there is nothing given away easily on this course. Eighteen is a prime example of this. At 580 yards from the tips, or 503 from the white tees, this hole has a plethora of fairway bunkers and green-side hazards, and the finish is as tough as any you will find on the Links course – unless you hit the pin on your chip and have it roll to within two feet (I couldn’t have been happier not to putt on this green! ).